Supporting kids with special needs works best when both regular education and special education staff work together. That’s why it is helpful for all teachers to understand how they can modify and accommodate for students in their classrooms. For newer teachers, learning that you need to modify work for kids of various levels can be a bit overwhelming. Even teacher who are highly experienced might struggle with how much to modify. It’s really a balance because you are constantly trying to find out what is “just tough enough” to push your students, with it still being at an appropriate level that can help them grow. Too easy and the work doesn’t really challenge them. Too difficult and kids might shut down, causing them to not learn anything at all. It’s okay (and actually good) to fine-tune your level of modifications over time. ial education teacher and get further clarification. Assign even or odd problems only – This is a great strategy for homework. It’s simple and quick for the teacher, but still gives the child similar practice to everyone else. Give choice – Let the student select 10 problems to do or let them pick whether to do the front or back of a worksheet. This will help with motivation, too, since the child sees they have a choice in the assignment. Put fewer problems on each page – This will be less visually distracting. Reduce the number of multiple choices – There will be less to select from. For example, if everyone else has a quiz with 4 possible multiple choice answers, your student might only have 2 or 3 options to choose from. Eliminate true or false questions – These questions can be extremely tricky, especially for kids with language-based disorders. Give a similar but different assignment with lower grade level material in area of weakness (math, reading, or writing) – For example: if the topic is computing with fractions, the student might be drawing fraction pictures. This will also help you target the “most important” concepts for the child to learn at the time. Provide an alternative assignment – This can be a research project, hands-on project, lab experiment, or making a poster to show understanding of a topic. Align student interest to the content – For example, you might focus on reading strategies while learning about trains. Learning to modify can be hard work at first. It’s best to give it a try even if you are not entirely sure it’s the right modification. Remember that you can always tweak your modifications as the year goes on. Most likely, you will need to continually reassess modifications and supports, since your students will be growing and making progress. And when in doubt, work with your special education staff to ask for feedback, support, and ideas. If you are a special education teacher in need of a toolkit, consider the Special Education Teacher Binder. It is a huge compilation of special education resources. Materials focus on IEPs and team meetings, progress monitoring of academics and behavior, classroom materials, building a classroom community, planning, lessons, organization, and other forms to help make the life of a special education teacher a little bit easier. Many kids and young adults struggle with motivation. These are the kids who are slow to start classwork, often don’t turn in homework, and may even refuse to attempt any assignment they view as a challenge. It can be extremely frustrating, especially because these students are often bright and capable in their own way. Here are some strategies you can use within your classrooms to help support their needs while still holding them accountable. 1. Keep your expectations high. Even when kids are struggling with finding motivation, you want to give the message that you expect greatness from them. 2. Give choices. Allowing a choice in an assignment or task gives kids power and helps them feel more in control of what they are accomplishing. Choice can mean choosing between two different worksheets, choosing their own lab group, or choosing whether to write or type an assignment. Consider finding a choice that fits a student’s individual strengths or interests. If a student isn’t motivated to write a research paper on a famous poet, allow them to present about their favorite musical artist. Instead of completing a lab report on cells, have your artistic student draw and label a diagram of a cell. It’s okay to think outside the box with this. 3. Allow accommodations when necessary. Simple accommodations, like a word bank, a calculator, or a word processor can help kids get in a better mindset for finishing a challenging task. 4. Talk to the student. Find out what is behind the lack of motivation to complete work in your class. Perhaps the student struggles with your content area, doesn’t understand the way you give directions, or is having some major issues at home. Talk privately and compassionately with the student and you can find out a lot. 5. Work out a plan. For students really struggling with getting tasks done in your class, try working out some incentives. Find out what the student would like to work towards – extra points on a quiz, a homework pass, or sitting in a special spot in your classroom. Then, make a plan so that your student can work towards earning that incentive. Maybe when he or she finishes homework for an entire week, they earn something special. Not only does this give the student something to work for, but it also helps build your relationship, too. 6. Work through motivation challenges together. Use this Motivation Workbook to teach about motivation, identify motivational challenges, and make a plan for success. Consider trying the Free Motivation Workbook Sampler which includes identifying what motivation is, understanding lack of motivation, strategies for improving motivation, and a motivation journal. 7. Talk to other adults who work with that student. Look for trends. Find out where the students does well and find out how you can replicate that in your class. For example, I worked with a student who did considerably better in his history class than his science class. With some investigating, I was able to notice that the science class lacked the same structure that his history class had. It was a simple thing to replicate once the teachers were made aware. Another important consideration is the time of day that the student is struggling. Is it in the morning when he or she didn’t get enough sleep? Or maybe around lunch time is challenging after being in a less structured social setting? These are just some examples of what you can consider. 8. Talk to parents. When you find yourself not making enough progress with your student, talk to his or her parents. Share what you have tried and see if there is anything at home the child can work for and if parents could talk to the child, too. 9. Keep your cool. It’s easy to get frustrated at kids who lack motivation but remember that they are just kids. There is often a reason why students won’t initiate tasks, even if we don’t know that reason at the moment. Take your time working with the student and show you are proud when you see progress – even just a little means baby steps in the right direction. Having a growth mindset means understanding that you can develop your own strengths and weaknesses through hard work, dedication, and grit. By teaching students to have a growth mindset, kids and young adults can better learn to work through challenges and overcome adversity in their lives. The opposite of a growth mindset is a fixed mindset. With a fixed mindset, people believe that you are who you are, and that doesn’t change. It’s the difference between the student who says, “I’m just bad at math” (fixed mindset) and the student who says, “This is going to be challenging, but I’ll work through it and learn it as I go” (growth mindset). By promoting and encouraging a growth mindset, adults can help kids and young adults to step outside their comfort zones, push themselves to their limits, learn from difficulties, and ultimately find success. Having a fixed mindset often leads to giving up on tasks, feeling poorly about oneself, and avoiding challenges. On the other hand, having a growth mindset encourages students to try new things, embrace challenges, and develop strong confidence. 1. Teach the difference between a fixed and growth mindset. Give explicit instruction to kids about growth and fixed mindsets, explaining the positives associated with adopting a growth mindset. Focus on teaching how having a growth mindset can really help kids feel better, do better, and succeed. 2. Highlight examples of growth mindset in your classroom. Specifically praise kids when they do something with a growth mindset. You might say, “Last week I heard you say you were not a good artist, but you really worked hard on your collage and it came out very artistically”, or “I saw you sitting with your head down during morning work time for the first minute. I love that you pushed forward and finished your work even though it was challenging for you to get started.” Positive feedback goes a long way when it is specific. Use these task cards to help kids and young adults learn about growth mindset. 3. Give time for kids to talk about having a growth mindset. Use practice examples, whether they are made up or real life examples from each student’s life. Use Growth Mindset Task Cards to practice a growth mindset in all areas of life: at home, school, during activities, with friends, and within our own belief systems. 4. Encourage risks and highlight that mistakes are learning experiences instead of failures. When a child or young adult does make a mistake, avoid making him or her feel bad about the mistake. Instead, encourage personal growth by asking them to identify what they’ve learned from the challenge. 5. Help kids set short term goals. Find out what goals kids want to accomplish in the next few months or within the year. Focus on one main area, whether it is academic, social, or personal. Help kids set a realistic SMART goal and help them come up with specific strategies for how they can accomplish that goal. 6. Conference with students about their goals and progress. Take time every two weeks to “check in” with kids and their goals. Make it a time to assess how much progress has been made and what the student has learned. You can look at what didn’t work but really focus on what DID work. Use that positive momentum to keep the progress going. Also, recognize that it’s okay if students tweak their goals as they go. Setting regular times to check in with goals really helps kids stay on track and learn that achieving that goal is possible. 7. Discuss people and celebrities who achieved success with a growth mindset. There truly are so many examples in all different areas of life. Michael Jordan was cut from his high school basketball team but his mother talked him into not giving up, so he continued to practice and get better. The Beatles were turned down by several record companies because some just didn’t like their sound. Oprah had a boss who told her she wasn’t fit for television. The list goes on and on! You could even use this as a research project in your classroom so that each student can report back about someone who overcame adversity and used a growth mindset to succeed. 8. Give challenging tasks. Brainteasers, riddles, and math problems are an excellent way to push kids to try challenging problems without giving up. When kids want to know the answer, don’t give it right away! Allow for plenty of time to go back and think about the problem. This encourages the idea that sometimes you don’t get all the answers, and you must work through challenges on your own to find out. 9. Use literature that shows examples of perseverance. You can use them within your language arts instruction or just as a read aloud for fun. From short children’s books to longer chapter books, you can find many different texts that promote a growth mindset. Some shorter books include: Ish by Peter H. Reynolds, The Most Magnificent Thing by Ashley Spires, and Extra Yarn by Mac Barnett. One longer selection is Esperanza Rising by Pam Munoz Ryan. Biographies also work great to teach growth mindset, as they highlight people who have persevered through serious challenges. 10. Use the word “yet”. When someone says, “I don’t know how to do this”, just add the word “yet”. Constantly reminding this encourages the idea that most things are possible with hard work, persistence, and time. Helping kids and young adults to develop a growth mindset takes time, but it’s worth it in the end. You can see kid’s perceptions about themselves slowly begin to change from, “I can’t do this” to “How CAN I do this?” and then eventually, “I know I can do this”. Most middle and high school teachers like to hope that students come to them already pre-programmed with strong social skills and abilities. It would definitely make classes easier, but we know that it is not true in many cases. Sometimes, problems with lacking social skills actually manifest themselves as behavioral challenges. For example, the student who is always interrupting in class may not know or understand the social rule that he should wait his turn. The student who constantly gets in trouble during group work might not know the group ground rules and how to work with others. Lastly, the student who gets involved in lots of drama and arguments with peers in your class might struggle with peer relationship skills. All of these behavioral challenges that cause such distress in our classrooms can be aligned with a lack of strong social skills. Once your recognize that a student or group of students need some social skills support, the next step is providing the instruction that will teach them the social skills. If they do not have good social skills by middle or high school level, they will likely need a lot of direct instruction, practice, and support to make good progress. Kids CAN learn social skills though, regardless of their age. What makes social skills instruction so challenging at the middle and high school level is that there usually is not any time in the day to focus on these skills. In elementary school, there might be a morning meeting time, small groups, and recess – all great times that teachers, school counselors, and social workers can target teaching social skills. At the middle and high school levels, though, the level of academic rigor is increased significantly, leaving minimal time for social teaching. Still, there are ways to weave social skills instruction into your classes. Use literature to discuss social behavior. While reading a passage or book, use the characters to highlight social skills and behavior. Ask questions like, “Why do you think he did that?” and “How did his actions impact the others?”. Even more, highlight and discuss specific skills that some of your students might have challenges with. This is a great way to incorporate teaching social skills because it makes it less personal for kids. Use small group work to review social skills. This goes for any group or partner work, such as science labs, partner reads, think-pair-shares, and more. Prior to starting group or partner work, review how your students should work with others. Explain and show what it means to keep eye contact with your partner, to listen to your group members, and to do your fair share of the work. These are essential social skills when working with groups or partners. You can find more direct instruction with the Working with Others – Groups and Partners workbook. Allot a short period of time to social skills each week. This can be done during resource room, study hall, or an advisory period. Focus on explicitly teaching and practicing the social skills your kids need. Consider running a social skills group once a week for 20 minutes. Adding peer role models will help significantly. Train peer role models to support social needs. Kids just learn better from other kids. This is especially true when it comes to social skills. Spend time training some peer role models to give cues and reminders to their “buddies”. Training them is simple – just privately meet with the student and direct them: “When you see Jimmy _____, just remind him to ______”. For example, in a science lab, “When you see Jimmy out of his seat during group time, just remind him to stay with his group”. The peer reminder will go farther than one from an adult. Talk with the school counselor and social worker. The other support staff in your building may have other ideas and strategies for how to support kids inside and outside of your classroom. Find out if they are running any social skills groups and give names of kids who you think could benefit. If you find yourself needing to practice social skills in your middle and high school classroom, try these Social Skills Task Cards for Middle and High School. It is a pack of 100 task cards specifically designed for middle and high schoolers. The cards are organized into five different sets that target different skills: Basic Interactions, Conversations, Empathy, Friendships & Relationships, and Conflict Resolution Skills. You can use them during a lunch group, study hall, resource room, advisory period, or anytime you have a few minutes left over in you class period to review. Take the time to teach social skills and it will pay off – not only for your students but for your classroom management, too! Social scripts, also known as stories, are one of the most effective and simple ways to provide support to kids with autism. A social script is a short narrative written in first person that discusses one problem situation. So, they come in especially handy for really any situation that comes up. Sometimes a teacher might use a social script to prepare a child for a scenario or situation, such as: riding the bus, beginning morning work, washing hands after using the bathroom, or working with partners. They can also be implemented when a specific problem situation arises, such as a student who acts out when confused on work or a student who struggles to initiate playing with peers during recess. Social scripts are an exceptional intervention for kids with autism because they provide structure and routine to situations that may seem scary and overwhelming for the child. They really play on the strengths for kids on the spectrum, while supporting their weaknesses. It should be noted, though, that these scripts can be used with any kids in need. I have used them with kids struggling with Oppositional Defiant Disorder (ODD), ADHD, and Intellectual Disabilities (ID). You can either write your own social script for your student or find pre-made social script. One benefit to making your own social scripts is that you can individualize the script for your student. This can be quite time consuming for busy teachers, though, so pre-made scripts are also a plus. 1. Make a special binder just for that child. Put the stories in sheet protectors and then place them in the binder. 2. Show the student his or her binder. Find a special place for it in the room. Then, allow the student to decorate the cover. The idea is that this binder is specially for the student. It’s important that he or she develops a connection with the binder (because it will be an important intervention in times of distress). 3. First introduce one social script at a time. Introduce that script by reading it with your student at a time when the child is calm. In other words, don’t introduce a “Feeling Angry” social script when your student is upset. Similarly, it won’t help to introduce a “Staying in My Seat” script when the student is getting out of his or her seat during a lesson. It should be first introduced long before at a time when the child isn’t in crisis or struggling. The intervention needs to be started before the child actually “needs” it, or it won’t have the same effect. 4. The following day, re-introduce the same social script and have the student read it aloud. Ask questions and discuss the social script. Use this as both an intervention and teaching time. Continue with this for a few days until the student becomes more comfortable with the script. Let the student know that you will ask him or her to read the script sometimes. Explain that it will help when he or she is having a difficult time. 6. Go ahead and implement other scripts this same way. Simple! Give lots of praise and positive reinforcement after the student reads the story or script. Be specific, such as, “Great job reading your story when you were feeling angry! I bet that helped you figure out how to feel better.” This will build on the understanding that the social scripts are a positive way for the student to help him or herself. Some prompting, encouragement, and rewards may be necessary in the beginning. If the student refuses to read the story, you may need to incorporate incentives. Set up a plan that include, “When you read your story when told, you will get to ______” (their preferred activity, such as coloring or music). The goal is that the child will read the story completely on his or her own when needed. Ultimately, you will be able to phase out any prompts and the student will use this intervention as a tool on their own. If you want to try out this intervention right away, I have worked on creating specific scripts for kids with autism. The first Social Scripts for Autism – Emotions is focused solely on emotions, including feeling angry, confused, bored, nervous, and more. Other sets include social scripts for Friendships, School, and Life Skills. If you love them all, consider buying the bundle. Keep in mind that while these scripts are an ideal intervention for kids with autism, any child with needs can benefit from them. Give social scripts and try and see what they can do for the students in your classroom! Executive functioning skills are getting a lot of attention right now in education. Honestly, it’s not even the amount of attention that they deserve, though. Executive functions are essentially the building blocks for completing all tasks in life (in school and beyond). If you think of executive functioning, you might just think of a student who has organizational issues: his binder is a mess, he can’t find papers he needs, and forgets homework at home. It’s true that organization is one executive functioning skill, but there are actually many more. Neuropsychologists and educational researchers continue to try and identify the specific executive functioning skills in separate categories so that they can be better understood. In turn, this allows us to teach these skills to young adults while setting up strategies for success in our classrooms. The main executive functioning skills include: planning, organization, time management, task initiation, working memory, metacognition, self-control, sustained attention, flexibility, and perseverance. What’s even more interesting is how all the skills actually work together to complete tasks. You almost never use an executive functioning skill in isolation. Instead, the skills are woven together to allow tasks to be completed in a complete and coherent way. For example, when you go grocery shopping, you have to plan out which stores you’ll go to and organize with coupons or a sales flyer. Then, you will finally set out for the store (task initiation). You have to think about what items you already have and what you will need (metacognition). You have to use time management to get there at a time that works for you and gives you enough time to shop. While shopping, you will probably use your working memory to figure out prices and best deals, while also using self-control to avoid indulging in foods on the no-list. You may even have to adapt your list when the store doesn’t have a certain item you expected (flexibility). You will most likely keep focused while shopping, so you can get home on time (attention). Finally, even if you are tired of shopping and the lines are horrendously long, you will stick to the task to finish and get the groceries home (perseverance). That is just one small task of how executive functioning skills are used in an everyday life experience. Now, imagine what it is like for kids and young adults juggling all of these mental skills while: learning new math skills, writing a research paper, getting to classes on time, completing homework assignments, working in small groups, completing science labs, participating in gym class sports, and so much more. Planning is the ability to put together a strategy for attaining a goal. It includes analyzing what you need and what steps you should take to complete task. Organization is the ability to develop and maintain a system to keep materials and plans orderly. That includes a system for homework, keeping track of assignments/papers, and being organized at home, too. Time Management means having an accurate understanding of how long it will take to complete tasks and being able to use time effectively to actually finish those tasks on schedule. Task Initiation is the ability to independently start tasks when needed. It means being able to start something even when you really don’t want to. Working Memory is the mental process that allows us to hold information in our minds while we are working with it. Examples include computing math problems mentally and remembering information for short periods of time during research or note-taking. Metacognition means knowing what you know and what you don’t know. It’s a critical skill for assessing your progress on tasks and changing your methods as you go. Metacognition is also the skill that allows you to stop yourself when you are stuck before going ahead too far. Self-control is the ability regulate yourself, including your thoughts, actions, and emotions. This means being able to manage your anger and wait your turn to share. Not only is this skill critical for academic success, but social success, too. Sustained Attention is being able to focus on a person or task for a period of time. It includes being able to avoid distractions and shifting your focus when needed. Flexibility means being able to adapt to new situations and dealing with change. Changes that cause difficulty might include a schedule change or when a plan doesn’t come together for a project. Perseverance is sticking to a task and not giving up, even when it becomes challenging. Further, it’s being able to use strategies to get through a task, regardless of the roadblocks that pop up along the way. Any educator can help to teach and support these critical skills, whether a special education teacher, classroom teacher, school counselor, psychologist, or paraprofessional. Parents can benefit from learning about these skills too, especially when it comes to helping manage homework and projects at home. If you’re getting started and are looking for some basic materials, consider my Executive Functioning Lessons and Activities. The ultimate goal is to teach and foster stronger executive functioning skills, so that kids and young adults can do more independently. If you are looking for the next step up, consider the Executive Functioning Advanced Workbook. It has over 100 student workbook pages that teach and provide practice around the same skills. Best of all, there is no prep for the teacher. If you want a reminder about these skills, be sure to grab this FREE Executive Functioning Poster! As a special education teacher, I also often wear the hat of being a counselor and therapist, too. I think that is true for most educators today. While we are teaching fractions, how to write a narrative, and identifying the difference between a state and a country, we are also working on building positive social skills and help kids work through their own problems. So, when you notice a child is having a conflict, how can you help him or her open up to start talking about it? The first goal is to help kids and young adults see us as an adult they can trust. Someone they can come to for help and be okay with opening up more than usual. 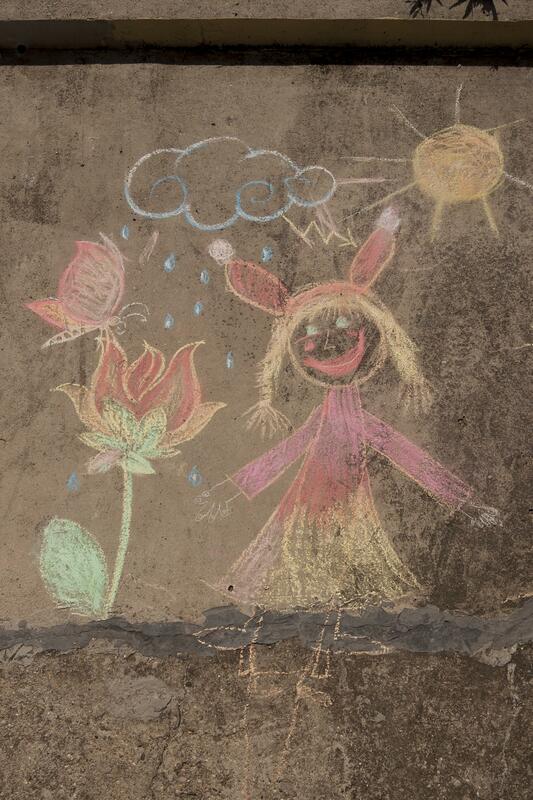 Drawing a picture can help kids share thoughts and emotions. 1. Ask them to draw a picture. Drawing a picture can be very telling and therapeutic at the same time. Ask kids to draw how they feel or how they see a certain situation happening. This can be especially helpful for children with limited or weak communication skills. Once the drawing is completed, follow up by asking several clarifying questions, like, “I see that you drew yourself in red, what do you think that means?”. You will be surprised with the responses you get. Drawing can be a great outlet. 2. Ask them to tell a story. You can even use this in the hypothetical-sense. For example, you might ask, “Tell me a story about what might happen at recess today”. There is something about telling a story that is more innocent and open than sharing details about a conflict for kids. 3. Have them write in a journal on their own. Ask the student to write independently for a period of time while you model doing the same. Tell him or her that they can write about anything but they have to keep writing until the timer goes off. Then, when time is up, share what you are comfortable sharing in your journal and ask the child to do the same. Not only can this be great to get a discussion going, but it teaches the value skill of journal writing to share thoughts, too. 4. Weave questions into gameplay. Don’t ask the challenging questions head on. Instead, begin playing a game (really could be anything) and intermittently ask questions throughout the game. This will allow kids to open up and share more without feeling the pressure of just a face-to-face conversation. 5. Use conversation starter questions. Pre-made task card questions are best for this. You can ask the questions yourself or allow students to take turns asking the questions while playing a game. It’s helpful to also mix up the type of questions asked on cards, with some about interests, family, school, and more. Task cards are fun, versatile, and really easy for teachers to use in their classrooms. With more than just a couple sets, organization of those task cards can be a pain, though. Here are some fool-proof strategies for keeping your task cards neatly stashed away until they are ready to be used. Plastic Baggies. Place a stack of task cards into a ziplock plastic bag. Label the outside with a sharpie and you are set to go! You can also hole punch a corner of the bag and add them to a binder to add to similar themed task cards (like with the pencil pouch method). Alternatively, you can place several task card plastic bag sets into one bigger plastic bag to be held all together. Having a variety of plastic bag sizes is helpful for this reason. Envelopes. Just place the task cards inside the envelope and label it. You can use different sized envelopes depending on the size of your task cards. This is a great way to set out the cards for individual groups. This is pretty quick, cheap, and simple since everyone should have envelopes on hand. Use a clip to hold the envelope shut so you don’t end up with task cards all over the place! Pencil Pouches. Put a stack of task cards right into a pencil pouch. 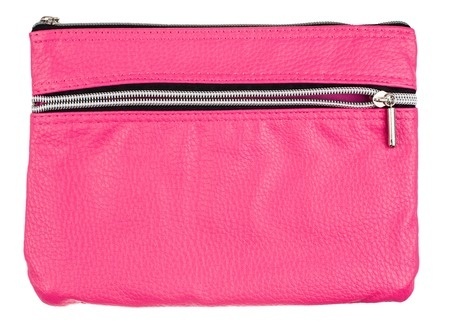 Then, zip it up and label the outside of the pencil pouch. Best of all, you can put multiple sets of task cards away like this within 1 binder. This is a great way to organize task cards for whole units or months. This is by far my favorite approach, especially if you invest in high-quality pencil pouches that will last over time. 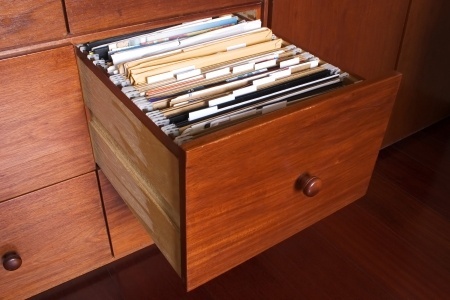 File Folders. Set up a container with file folders. One container can be math and another container is reading. Then, label each file with specific topics you need to teach. Add your task card sets to each category, as needed. Another option is that you can also set the file folders up by the week (week 1, week 2, so on) or the month. Arrange which task cards you’d like to introduce for each week or month of school. This can be helpful if you love incorporating holiday themed materials in your classroom. Stack-able bins. Choose your size and style of bins that stack together. Label the outside of each bin with the type of task card. This is a great strategy if you plan to store task cards in a cabinet or shelf in your classroom. For my last blog post on fun and simple ways to use task cards right in your classroom, click here. 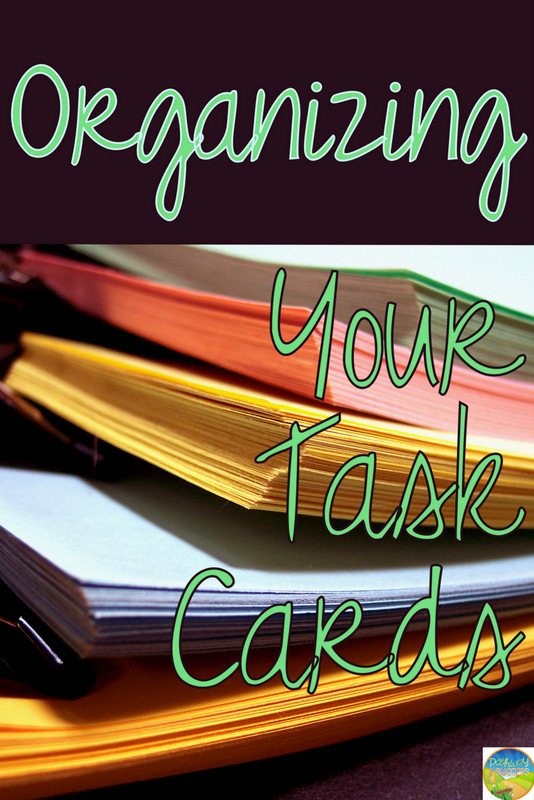 How do you organize and manage task cards in your classroom? 1. Kids are way more than a test score. A standardized test doesn’t capture so many amazing qualities. It doesn’t show your kids’ creativity, generosity, thoughtfulness, curiosity, patience, self-control, honesty, and so much more. Standardized tests are just ONE measure of a child’s ability. They are not the be-all and end-all of education and learning. 2. Teachers are more than just a test score, too! It’s insane to have to even write that, but with evaluations tied to student evaluations, we have to remember that our abilities as educators don’t just boil down to our students’ test scores. Let’s consider some things looking at a child’s test score doesn’t show about his or her teacher: a teacher’s drive, love, compassion, firmness, organization, classroom management, positivity, encouragement, dependability, energy, and excitement for learning. 3. Some kids just can’t DO standardized testing. Don’t beat yourself up over the child who can’t sit still, won’t focus, rushes through in 4 minutes, or acts out to get out of testing. Some students, both with disabilities and without, just can’t do what a standardized test expects for a period of time and it’s not their fault. Should the test be fitting them, and not the other way around? As for older kids, some just aren’t at all motivated by the test, which (again) is also not their fault. Yes, we’d like every student to try their absolute best to show what they know. In the end, though, whatever our kids do is what they can do at that moment. And that’s okay. 4. Kids remember experiences, not the testing. 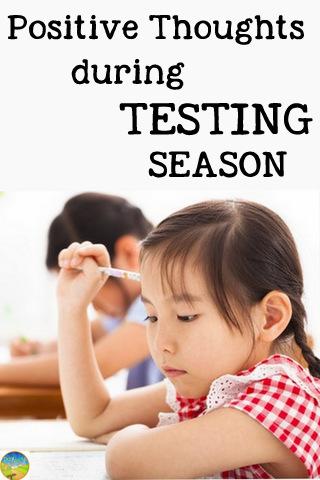 Even though we all know and see kids who are stressed out with the testing, in most cases, they won’t remember it years from now. Once we get through it, know it’s over for the year. 5. After testing, you can ENJOY teaching again. Consider doing fun projects you’ve done in the past or units that really interest you and the kids. Do an ancestry family tree project. Build your own theme park. Try a fun end of the year time capsule activity. Anything fun will work! Now that the pressure is off from the testing, keep teaching the way you love to teach.